Find a vacation home to rent in Catanzaro from our list of vacation rental properties. Campaya has over 53 vacation homes available in Catanzaro, which give you the possibility to locate a unique accommodation in Catanzaro which completes your check-list in search for the perfect self catering vacation apartments in Catanzaro or vacation villas in Catanzaro. Terraced house located on the hill of Staletti in the Bay of Copanello, in the province of Catanzaro, in one of the most striking views of the Ionian coast of Calabria. Holiday home set 1 km from Catanzaro. Newly built semi-detached house in a private residential area consisting of several holiday villas with 2 tennis courts and shared swimming pool. Villa with private swimming pool located on the cliffs of Copanello, in Torrazzo di Staletti (Catanzaro), from which you can enjoy an enchanting view over the Gulf of Squillace. Charming holiday home with private pool and sauna surrounded by greenery among the aromas of chestnut, oak and beech, where unspoiled nature offers surprising performances. Recently built semi-detached house inside a private residential area made up of holiday detached houses with tennis court and shared swimming pool. Holiday house with private pool, located just 20 metres from the beach, in Santa Caterina dello Jonio, not far from Soverato (18 Km). 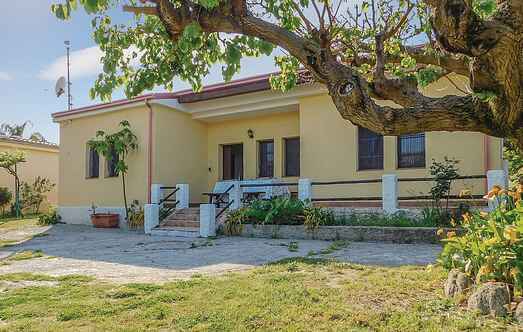 Approximately 1,5 km from Badolato Marina is this terraced house, which is located within a private residential area with more holiday cottages. Holiday apartment in Isca Marina in the province of Catanzaro, on the third floor of a building without a lift.